Emergency Dentists USA invites you to enjoy your vacation in Ontario without the worry of searching for a great Ontario emergency dentist if the need arises. With our convenient listing of hand chosen Ontario emergency dentists, you never have to endure the hassle of searching frantically for a new dentist while you are on the road. From after hours dental clinics with weekend and evening appointments to emergency dental clinics that work hard to ensure that you are seen quickly, our excellent Ontario emergency dentists are standing by to get you out of pain quickly. Choose our 24-hour dental emergency hotline to speak with a wonderful live operator who can assist you in choosing a new Ontario emergency dentist or even set up that first dental appointment. Whether you are on vacation or settling into your new city, Emergency Dentists USA has the right dentist for your dental problem. While you are enjoying the rides at Scandia Amusement Park in Ontario, Emergency Dentists USA is working hard to ensure that you have a great Ontario emergency dentist standing by to suit your dental emergency. A chipped tooth or a lost filling is no problem when you can simply scroll through our comprehensive listing of Ontario emergency dentists. – Walk-in dental clinics – Dental clinics that allow patients to come in without an appointment are not available in Ontario. Our local hospitals offer quick dental care without the need for an appointment. – Emergency 24-Hour Dental Clinics – Clinics that specialize in being open 24 hours a day are not available in Ontario. You can see a hospital physician via the hospital emergency room at any time of the night or day. – After Hours Dentists – After hours dentists are regular dentists who offer office appointments after hours or on the weekends. Visit Ontario Village Dental for an appointment on a Saturday or in the evening as late as 6 p.m. Emergency Dentists USA offers you a complete listing of great Ontario emergency dentists who are standing by to treat your dental emergency. Simply scroll through our excellent Ontario dentists and pick the dentist with an office near your home or hotel or choose a dentist with office hours that suit your needs. Our 24-hour dental hotline makes it easy to pick a new dentist with the help of a live operator who can also schedule your dental appointment. DescriptionFrom cracked teeth, broken crowns, or what may be slowly becoming an abscess, a quick call to our 24 hour hotline will get you attention from a skilled medical professional. Don’t hesitate to call, and see how much better you’ll feel after your diagnosis. When you are suffering from a terrible toothache, the search for a great Ontario dentist can be almost as painful as the dental problem itself. Dr. Paniagua and Dr. Camacho and their friendly staff make it easy to call Ontario Village Dental your new “regular” dental office. From cosmetic dentistry to after hours emergency appointments that cover your dental emergency every other Saturday, Ontario Village Dental strives to make your dental problem a thing of the past. Address: 1950 S Grove Ave #106, Ontario, CA 91761, EE. UU. With service that is both friendly and affordable, Dr. Augustin provides family dental care that benefits patients of all ages. This Ontario dental clinic offers extended hours to care for patients with dental emergencies that pop up when they are least expected. From digital x-rays to a paperless office system, Dr. Augustin and her staff go above and beyond to create a dental office that passes savings on to the patients. Whether you have a broken tooth or a lost filling, this dental clinic is standing by to care for your dental problem even on a Saturday. Dr. Patel at Ontario Dental Center makes it his business to provide your family with dental care that exceeds your expectations. Digital x-rays along with state-of-the-art dental equipment give you the opportunity to see your smile in a whole new light. From porcelain veneers to dental implants, Ontario Dental Center provides all of the dental services that you need to get your dental emergency resolved quickly. Saturday and evening appointments give you the option of having your tooth emergency taken care of even after hours. Providing excellent dental service to the Upland area since 1992, Dr. Chiang and his friendly staff work hard to end your dental emergency quickly and as painlessly as possible. Specializing in dentistry for children, Dr. Chiang spends time listening to your needs before choosing an appropriate solution for your dental problems. From a toothache to a chipped tooth, Dr. Eric Chiang is standing by to treat your dental problem even on a Saturday when many dental offices are closed. – Most emergency dental clinic visits are similar to regular office visits.Ontario emergency dentists offer routine dental care along with more complicated procedures like full mouth restorations, veneers and dental implants. – Gather your paperwork, dental insurance information and any recent dental x-rays or examinations prior to visiting your new Ontario dentist. These items make it easier for your new dentist to choose a treatment plan that suits your needs. – Arrive 15 minutes early to facilitate filling out paperwork. This also gives you plenty of time to ask any questions that you might have regarding your upcoming dental procedures. – Most Ontario emergency dentists accept credit cards, cash payments, personal checks and even offer low-interest payment plans for dental services. Ensure that your new dentist accepts your preferred method of payment. – Make sure you know if your insurance is accepted at this dentist. Choosing an in-network Ontario emergency dentist can save you money when the time comes to pay the dental bill. – Just like any medical visit, make sure you know if you have any allergies to medicines. Bring a list of your current medications with you to visit your new dentist. This allows him or her to choose medications that do not conflict with your allergies or current medications. – Do you have intense dental anxiety or fear? Talk to the office staff about your dental anxiety and check out their options for stress-free dental services. Some dentists offer sedation dentistry. Facing any one of those common 24-hour dental emergencies makes it tough to enjoy your visit to Ontario. From a terrible toothache to something caught between your teeth, common dental emergencies seem to occur at the worst possible time. Frantically searching for an Ontario emergency dentist makes those emergencies just a little more painful. Some of the most common of all dental emergencies include lost fillings and chipped or broken teeth. You might also encounter an emergency that includes a loose or lost crown, a tooth that has been partially knocked out or even a tooth that is completely knocked out of the gum. Other common dental emergencies include soft tissue injuries to the lips, tongue or gums and braces that have broken wires or loose brackets. Common dental emergencies can be resolved quickly when you visit an Ontario emergency dentist as soon as you feel that first dental pain. Reading advice on the EmergencyDentistsUSA.com website is not a substitute for seeing a medical professional. Every dental emergency is unique and you should see a dentist for any of the situations that are described below. 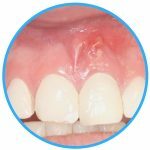 An abscess is a painful dental emergency that is actually an infection that occurs between the teeth or in the gum below the teeth. Rinse your mouth with salt water several times to draw the pus toward the surface of the gum. Use a cold compress outside of the mouth to lessen any pain or swelling of the cheeks and gums. Visit your Ontario emergency dentist as soon as possible because the infection could spread to other parts of the mouth including the bone of the jaw. 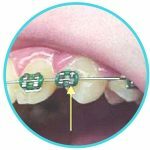 Broken or loose braces and wires are a dental emergency that requires immediate attention. Do not cut any wire that is broken. Use the eraser end of a pencil to push the wire into a more comfortable position or cover the sharp end of the wire with a cotton ball or orthodontic wax. Secure your braces to your teeth temporarily with orthodontic wax. Visit your Ontario emergency dentist as soon as possible to have the braces repaired. Tooth trauma that is caused by an accident should be evaluated at a hospital emergency room to ensure that you do not have any more dangerous injuries. If your tooth trauma is associated with a concussion or other injury, visit a hospital ER first. Tooth trauma caused by an accident can be treated at your Ontario emergency dental clinic once you have been examined by the ER physician. An emergency tooth extraction is not what you want to have to deal with when you are on vacation. You might require a tooth extraction if you have a tooth that has severely decayed. It is important to have the extraction accomplished quickly to avoid an increased need for medications and a longer healing time. Your dentist begins the extraction with an x-ray and examination of the tooth. He or she chooses a general or local anesthetic to keep you comfortable during the procedure, and selects a special tool to remove the tooth from the gum. The gum is stitched closed using a type of suture that dissolves over time. A small piece of gauze is placed over the gum to stop any bleeding. Full healing usually occurs within one to two weeks. It is important to follow your dentist’s instructions after the tooth extraction. Take any medications as directed and avoid eating solid foods and drinking through a straw for at least a few days. Try to avoid drinking alcohol or smoking until your gum is healed. When you encounter a dental emergency that includes a fall, an accident or even a sports injury, it is important to visit a hospital emergency room for prompt treatment. This ensures that you do not have injuries that could be life threatening like a concussion. Your Ontario emergency dentist is capable of treating any of the common dental emergencies that may occur. He or she has the equipment and the training to resolve your dental emergency quickly and in most cases charges less than a hospital emergency room. Use the American Dental Association’s website located here to check out your new Ontario emergency dentist. The ADA offers great information on current licensing and certification for each dentist in the United States. 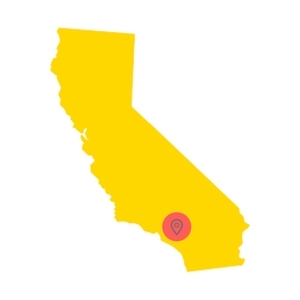 You can also access the California Dental Association’s website located here to learn about California licensing for dentists, to get information on local dental offices and to learn more about good brushing and flossing habits along with new dental products. 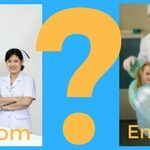 What’s the best emergency dentist office in Santa Rosa California?